Hey Cuties! ♡ Today I have this Purple smokey eyes makeup tutorial for ya’ll. I posted a question on my instagram (@Makeupbyan) asking what kind of colored eye looks everyone wanted to see and I saw purple come by very often. I hope you all like how it turned out. And let me know in the comments if you have any other requests for my next video. Hey Cuties! 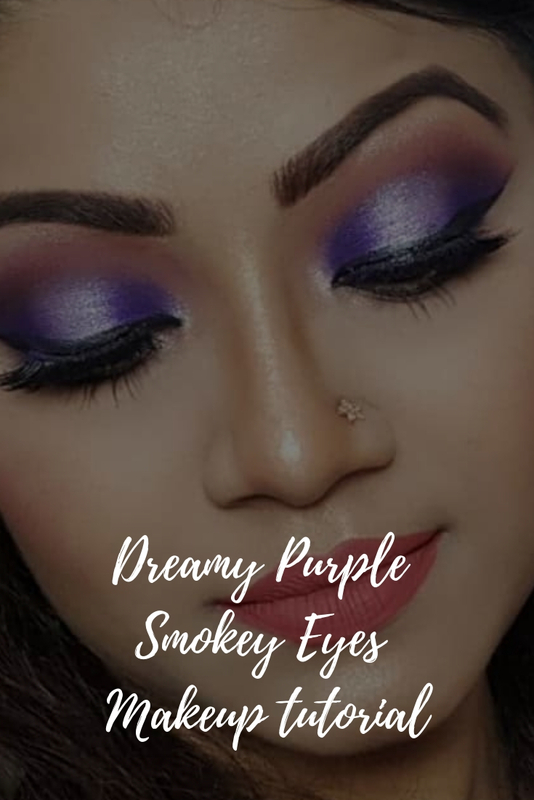 ♡ Today I have this Purple smokey eyes makeup tutorial for ya'll. I posted a question on my instagram (@Makeupbyan) asking what kind of colored eye looks everyone wanted to see and I saw purple come by very often. I hope you all like how it turned out. And let me know in the comments if you have any other requests for my next video. Love ur giant hoops! Lol?? Have you tried the expert face brush by RT? It puts my no.7 foundation on like butter..but no.7 is a med coverage but that may not matter..I ordered the Blue powder brush I am excited to get it.? This look is one of my favs from you; it’s gorgeous. Super gorgeous look! LOVE! ?? I loved it! Just what I was wanting to do! Thank you! The makeup is beautiful and u look pretty too. The eyes were ABSOLUTELY PHENOMENAL girl ??????? you did a knockout job ?????? I love love LOVE anything purple it’s my favorite color and this eye look was stunning!! Awesome awesome work you looked beautiful wearing this look as well thanks for sharing An ?????? That 35B pallet is gorgeous! I think I’m going to get it. Such a beautiful look. I’m in love wow love this look gorgeous ?? It is very interesting that when you applied that fuchsia colour pop eyeshadow, it turned purple. Was just wondering. Do you only have a few palettes? You always use the same ones over and over again. It's good because it encourages us to use what we have and be more creative with what we have. Although it doesn't stop me from shopping! Never seen you use milani products ?? Love those earrings!! Your eye came out fantastic. Well done ? So pretty!! Please go cruelty free ☺️??? That purple turned out amazing!! An.. I’m SSSSOOOO RUNNING out of compliments for u!! STOP PUTTING UP THESE GORG EYE LOOKS!! (Just kidding lol) MAMMA CANT TAKE IT HONEY!! I LOVE a beautiful purple Smokey eye & as ALWAYS u freakin killed this look. This is on my list to recreate for SURE. TFS ????? I love the way you filmed this video! It's nice to see you actually talk instead of the whole video just being a voice over. I'm also living for the backdrop! So pretty!! This eye look is also so gorgeous too. Would you mind if I recreated it? Absalutly gorgeous! I think maybe I could recreate this the Jaclyn Hill palette and a Colourpop shadow similar to the one u gave. I love this. I definitely gotta try. ? This look is soo bomb ?? but them earrings thoo ???? where can I get them ?? Ohh my gosh!??? this colour looking fire on you its stunning can't wait to create on myself hope it will do the same on me ??? super gorgeous❤? ?